At 90 years old, Ethel Kennedy is joining the fight against the Trump administration’s separation of immigrant families at the border to Mexico. 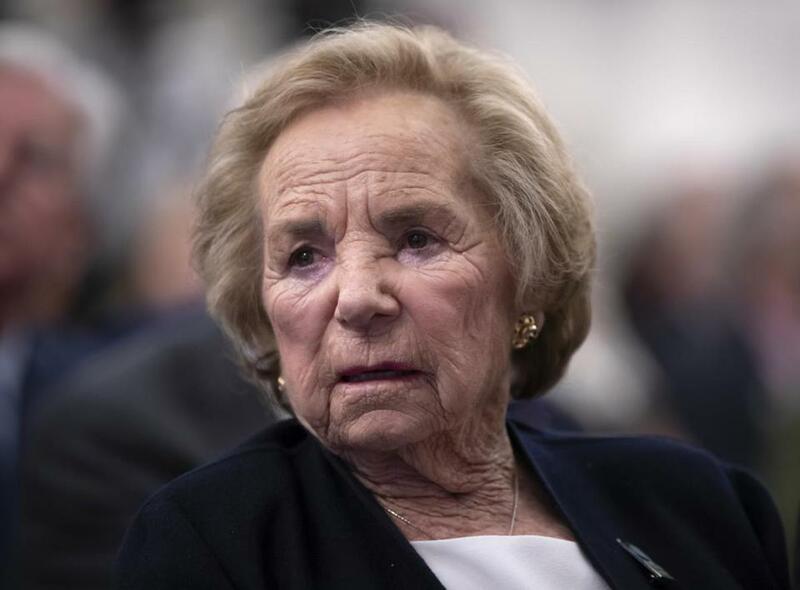 Ethel Kennedy, the widow of Robert Kennedy, plans to participate in a hunger strike in protest of the administration’s “zero tolerance” policy for immigrants who enter the country illegally, in conjunction with several activist groups and nearly 50 other members of the Kennedy family. The fast, which started Saturday, is scheduled to last for 24 days, in honor of the estimated 2,400 children that have been separated from their parents. Organizers ask that each participant fast for 24 hours and make a donation in place of the food they would have eaten to Break Bread Not Families, said Kerry Kennedy, head of Robert F. Kennedy Human Rights, a nonprofit advocacy group. “We want to find a way for people who can’t go down to the border to actually do something themselves at home that is concrete and creates change, and this is what we’re calling on them to do,” Kerry Kennedy, also the daughter of Ethel and Robert, told the Globe. Ethel Kennedy, who did not travel to the border, has not yet begun her fast, though she’s “very joyful about it,” her daughter said. NEW: Ethel Kennedy, 90, announces she will join #BreakBreadNotFamilies hunger fast in McAllen, TX, alongside @KerryKennedyRFK, @RepJoeKennedy, @KeeganMKey, @DoloresHuerta & dozens more. Some parents recently released from federal custody pending the outcome of their cases have no idea where their children are. The administration’s zero-tolerance policy for families that enter illegally along the Southwest border, which began in April, has led to thousands of children being separated from their parents, officials estimated. In recent weeks, pictures and audio of crying children surrounded by metal fences in detention centers have gone viral online, triggering wide outrage from officials, public figures, and members of the general public. Last week, Trump signed an executive order aimed at keeping immigrant families together, while continuing the zero-tolerance policy. In a statement, Ethel Kennedy said Trump’s order was “not a time to declare victory and go home. “Generations of Americans did not toil and sacrifice to build a country where children and their parents are placed in cages to advance a cynical political agenda,” the statement said. Massachusetts Representative Joe Kennedy III, the grandson of Robert and Ethel, is also participating in the fast. 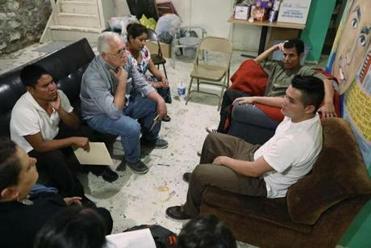 Kerry Kennedy traveled to McAllen and spoke to people who were at risk of being deported and separated from their children, she said. RFK Human Rights, which Ethel Kennedy founded, organized the hunger fast along with La Unión Del Pueblo Entero, the Texas Civil Rights Project, and Neta. “This is not only immoral, it is also illegal under U.S. and international law,” RFK Human Rights wrote in a statement announcing the protest. The movement caught the attention of several high-profile celebrities who signed on to participate in the hunger strike, including Alec Baldwin, Alfre Woodard, Keegan-Michael Key, and Evan Rachel Wood, Kennedy said. Both senators from Massachusetts, Ed Markey and Elizabeth Warren, also plan to fast for 24 hours, she said.